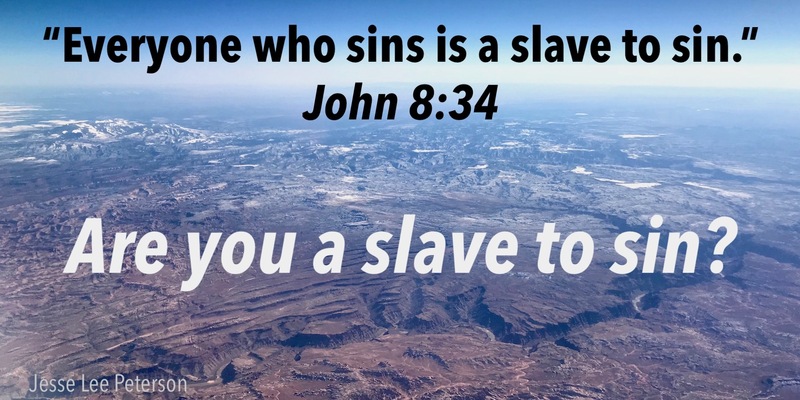 In John 8:34, Jesus said that “everyone who sins is a slave to sin.” Jesse’s Biblical Question of the Week: Are you a slave to sin? Jesse has been asking this question on Facebook, YouTube, Twitter, and on Jesse’s daily live radio show (starting Tuesday, April 17). Most people have said that they still sin. Can you be a slave of sin and at the same time a servant of Christ? Call-in (or watch & listen) to Jesse’s daily program 6-9am PT (8-11am CT / 9-noon ET), and join us for Church on Sunday 11am PT.